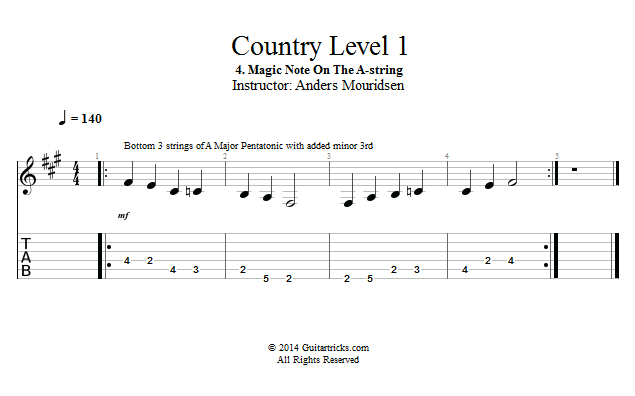 Now let's add one more tension note to our major pentatonic scale pattern. This is the same letter-name as before, but an octave lower. You find this note on the A-string, in between the two notes you already know. When we practice the mini-pattern that holds this note we will encounter a notorious challenge known as "inside picking".